Of course, the Genius comes with standard Oral B features such a timer with 2 settings - two minutes or thirty seconds. To be honest, I dislike any timer on an electric toothbrush, because they are all too short! The only way the timer will help you is if you use the 2-minute timer to brush each quarter of your mouth - making a total of eight minutes. Seriously. I really believe that most people need to brush their teeth for 6 to 8 minutes - but once a day is enough! Braun Oral B Electric Toothbrush "Genius"
The Oral B Genius 8000 also comes with a wall mounting for your smart phone, which uses a large and secure suction cup. 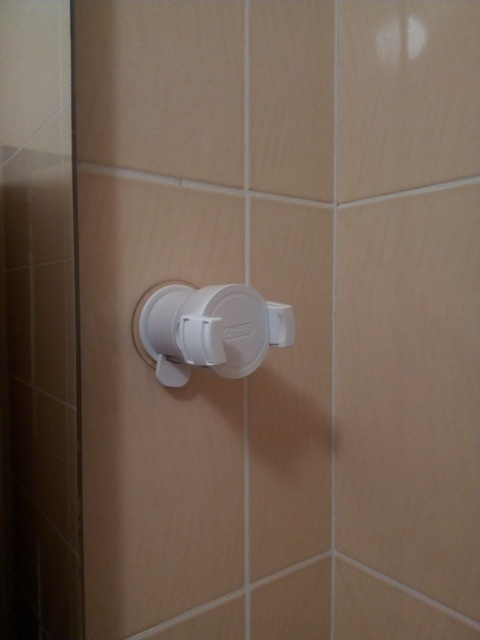 You need to fix this to a smooth surface in your bathroom (preferably a tiled surface), at about eye level. 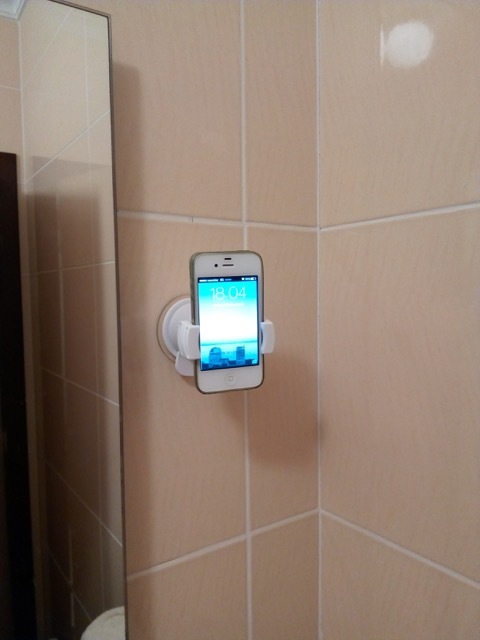 You can then pop your smart phone into this mounting, bring up the Oral B Genius App, and watch the progress of your brushing while you brush, in real time! 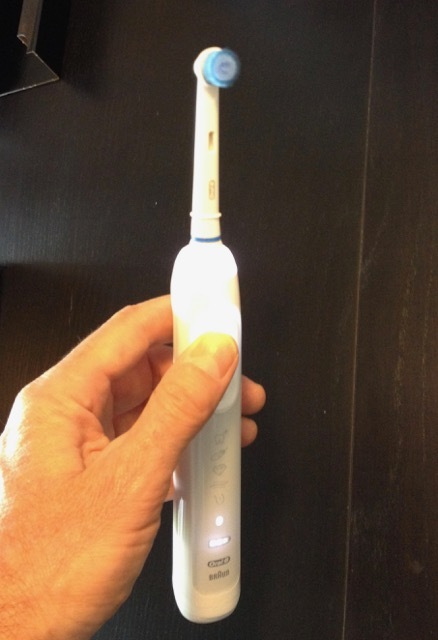 The toothbrush itself is a very nice size, fitting neatly into the palm of your hand, and is relatively light weight. It feels very comfortable to hold, with a slick modern appearance. This brush features an illuminated ring around the base of the brush head. This is called the Smart Ring, and is basically a bright light that illuminates your teeth while you are brushing. The Oral B Genius takes all the standard Oral B brush heads. To be quite honest, I feel that there are too many, which confuses people! My recommendation? The NORMAL SENSITIVE brush head is BEST. It has the best bristle layout, the best bristle stiffness, and best tooth coverage. It simply does the best job, without any fuss. You can get the best deal on replacement brush heads HERE. I have been testing this brush for a couple of months, since January 2017, and I have been very impressed with it. So much so, I bought one for my partner! BUT I have been proved wrong. The Technology in the Oral B Genius has improved my partner's brushing better than I have been able to achieve. Score ONE to Technology and Oral B ! BUT IT GETS BETTER - I have never had an electric toothbrush with such a fantastic battery life. The Oral B Genius has the best battery performance on any electric toothbrush that I have ever owned. One overnight charge gives me TEN DAYS of brushing - AND I BRUSH FOR EIGHT MINUTES A DAY !! I think the new offering from Braun Oral B, the 8000 Genius electric toothbrush, is a great brush that takes advantages of modern technology to improve your brushing technique at home. I DEFINITELY RECOMMEND IT! 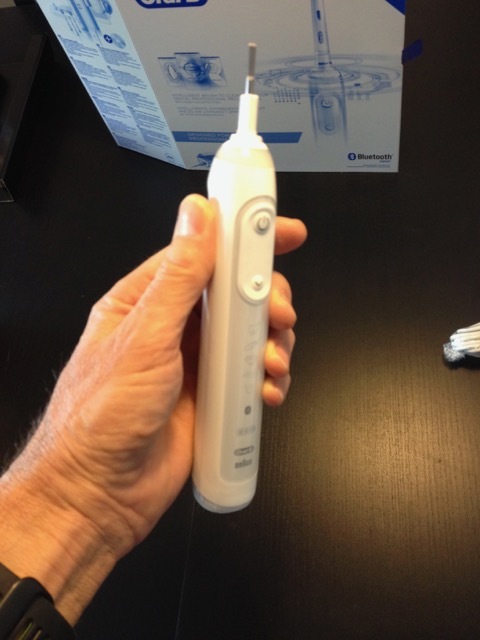 Here's a link to the Oral B website with more information on the Genius 8000.